No. 3. Unser aller Großpapa, bleibe noch recht lange da! No. 1. Gütigster, Bester! Weisester, Größter! 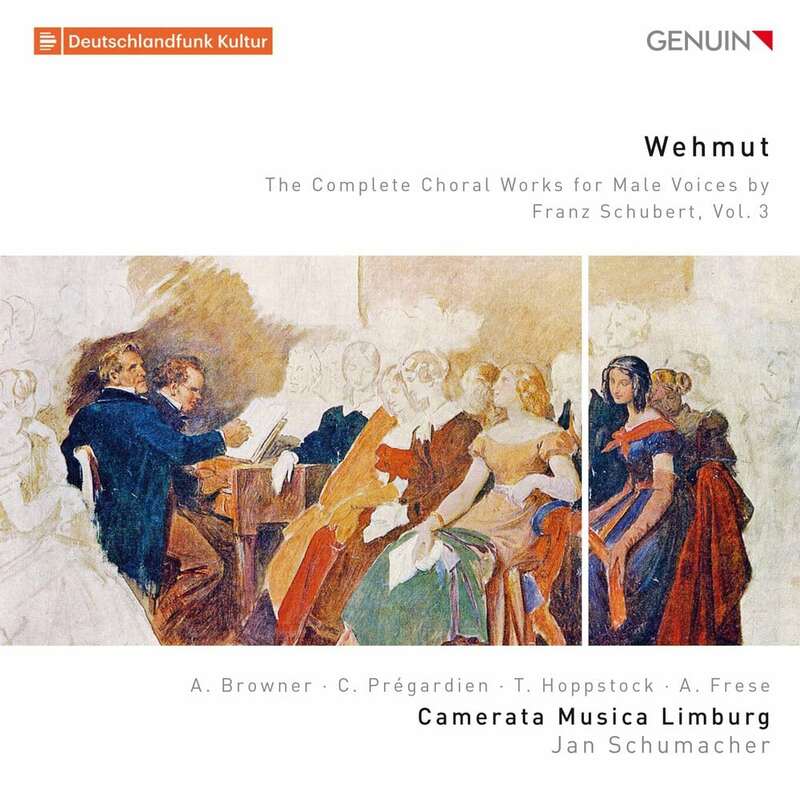 Wehmut is the third release in Camerata Musica Limburg's project to record Schubert's complete choral works for male voices. Led by conductor Jan Schumacher and featuring soloists Alison Browner and Christoph Prégardien, these world-class musicians present sensitive and rich performances of 14 standalone songs such as Die Nachtigall, as well as excerpts from the 3 Quartets, Op. 64 and the Beitrag zur fünfzigjährigen Jubelfeier des Herrn von Salieri, making for a joyful and musically satisfying listen.